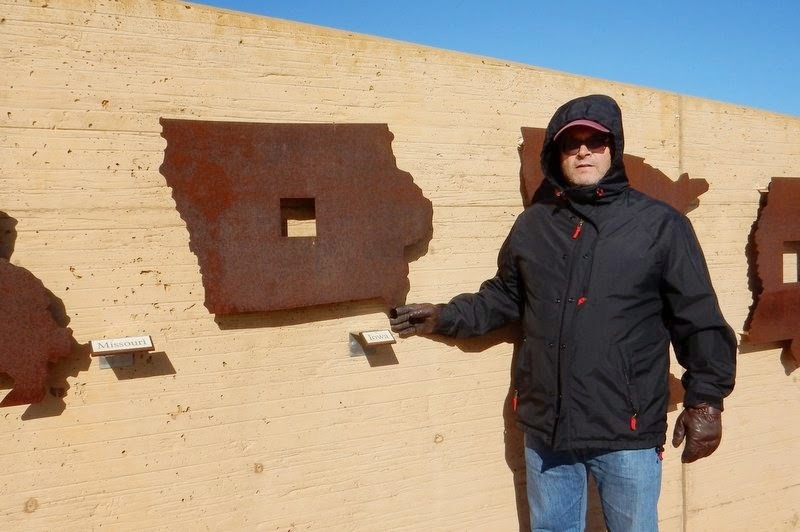 Since we had a few days before we were to meet my friend Jane, Tim and I decided to backtrack to Nebraska to visit a few sites that we had to skip when we made our mad dash to Kansas City for Tim to attend Game 2 of the World Series. We looked for a scenic road that would take us from Topeka to Nebraska and discovered the Native Stone Scenic Byway. 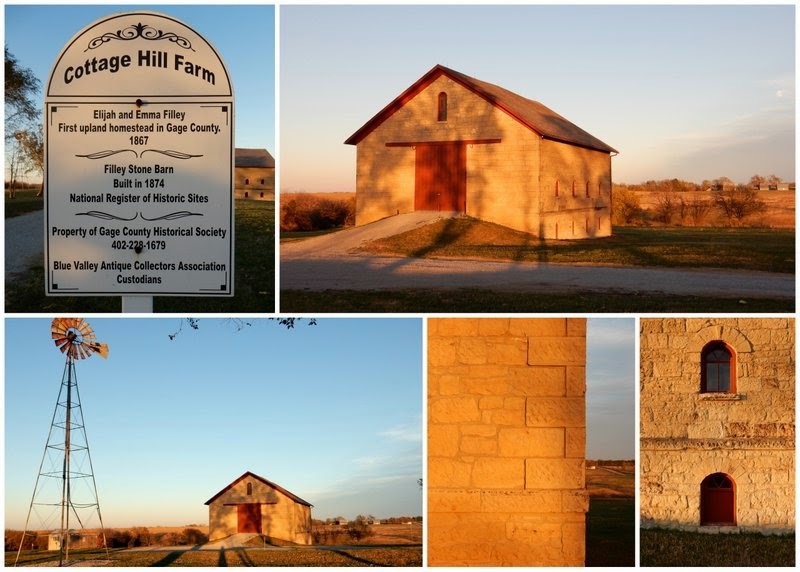 A single bed of limestone lies just below the surface of much of north central Kansas, and the Native Stone Scenic Byway celebrates this native building material. 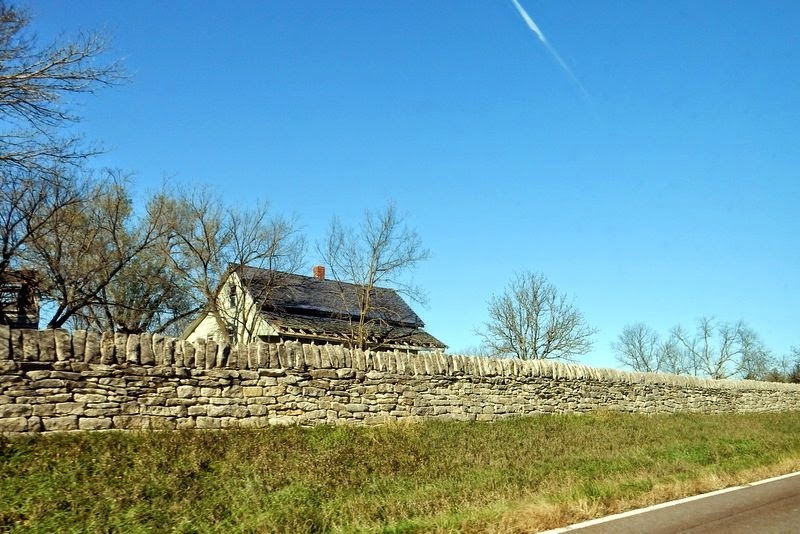 Limestone was used not only for buildings but also for fences, and beautiful stone fences line much of the byway. These fences were constructed with stones that were dug from bedrock and laid without mortar into double-sided walls. We stopped for lunch at the Alma Bakery in Alma, known as the “City of Native Stone,” and ordered bierocks, a Kansas delicacy. Bierocks are a meat-and-cabbage filled pastry brought to the Great Plains by the Volga Germans. Although the ones we sampled also contained sauerkraut, they reminded us of the cabbage pockets that Tim grew up with in Colorado. The cookies from the bakery were also quite tasty. 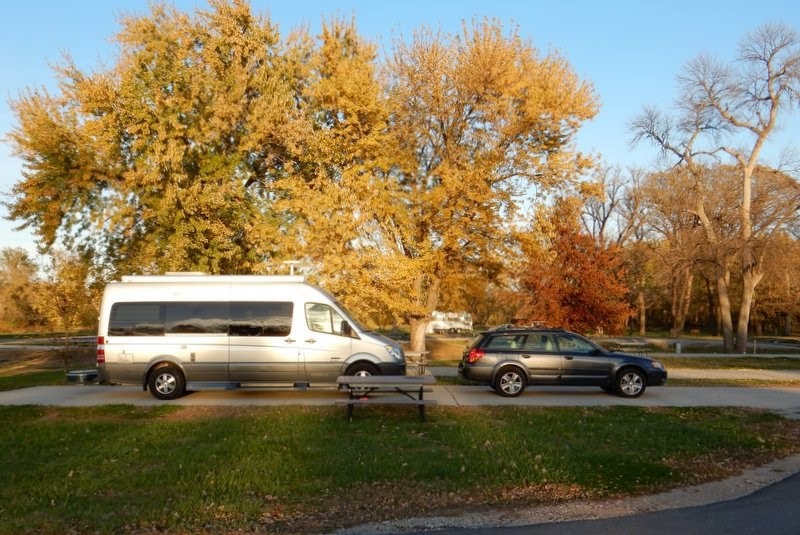 We crossed into Nebraska on October 31 and made our way to Chautauqua Park, a city-operated campground in Beatrice, Nebraska. This is a lovely campground in a city park, with spacious paved sites under autumn-hued trees. We especially appreciated the full hookups during our first sub-freezing night of the season. 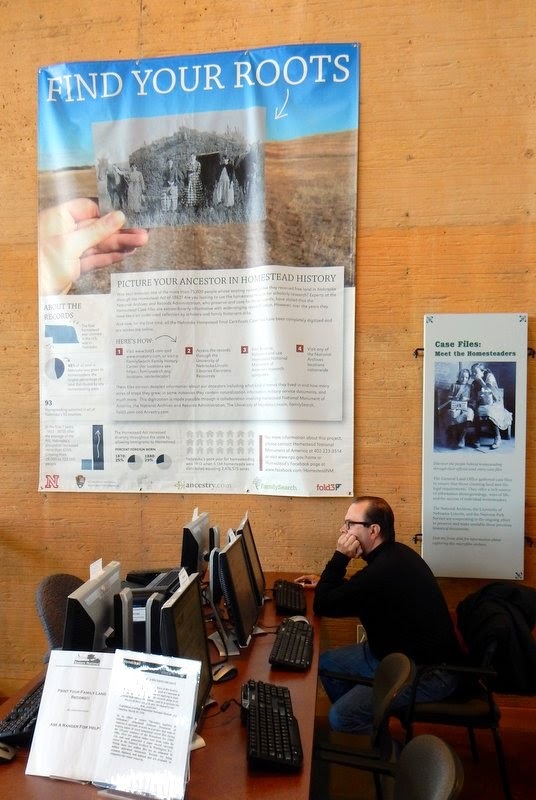 The next morning we drove to the nearby Homestead National Monument of America, a National Park Service unit that tells the story of the Homestead Act of 1862. This act offered free land to men and women in 30 states and was one of the most significant factors that encouraged westward expansion. Millions of acres were opened to settlement and cultivation, and more than 1.6 million people seized their chance to attain the American Dream. 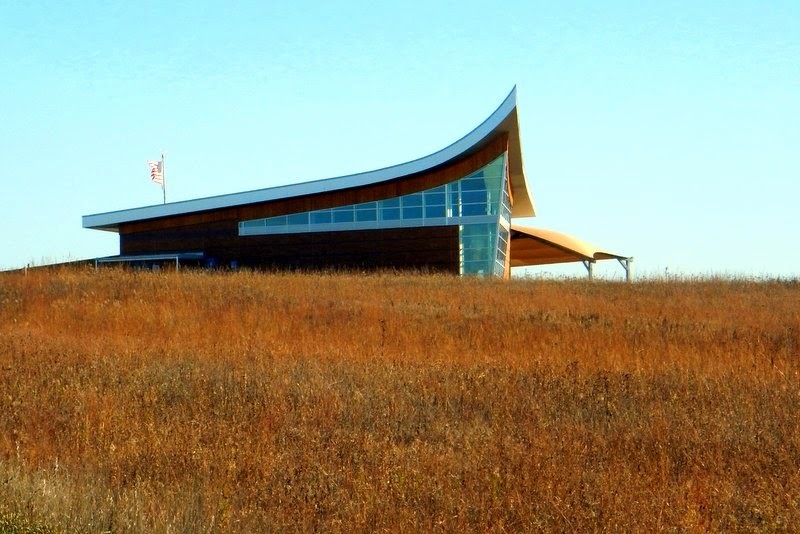 The design of the park’s new heritage center is unique in that the roof resembles a plow cutting through the sod. 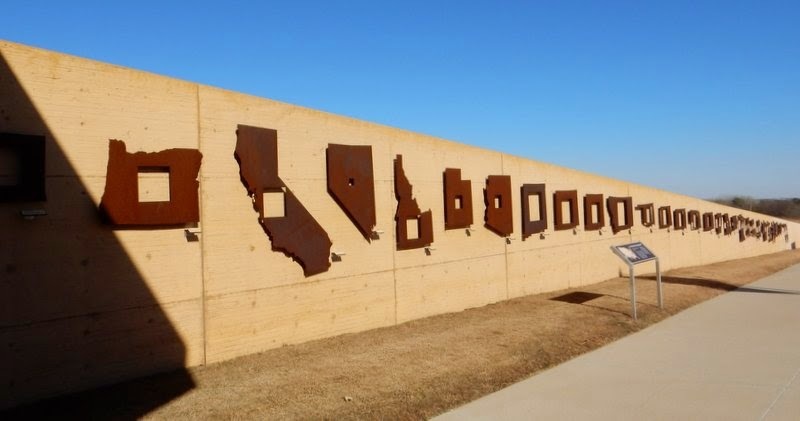 Along the walkway leading to the entrance is the “Living Wall,” a representation of the percentage of land that was successfully homesteaded in each of the 30 states that had homestead lands. 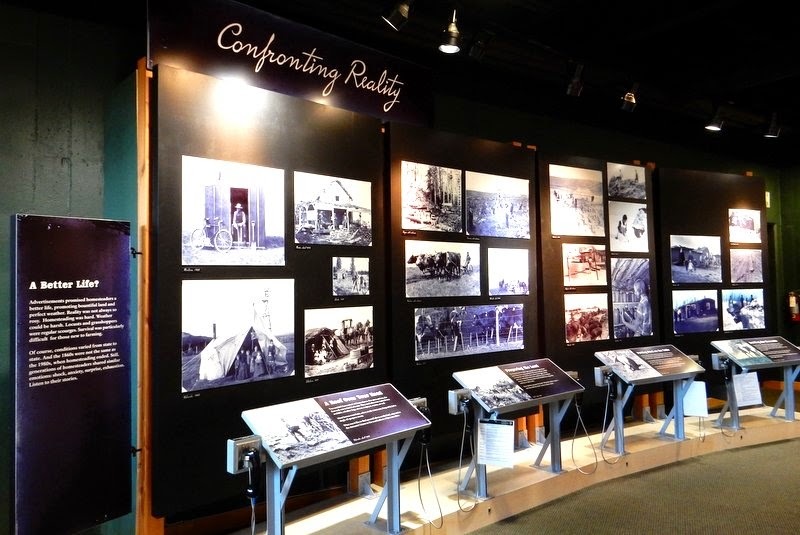 Exhibits in the center do not sugarcoat the life of the homesteader. The reality of life included blizzards, dust storms and fire, as well as loneliness, and many would-be homesteaders couldn’t make it. It was such an unbelievably hard life. 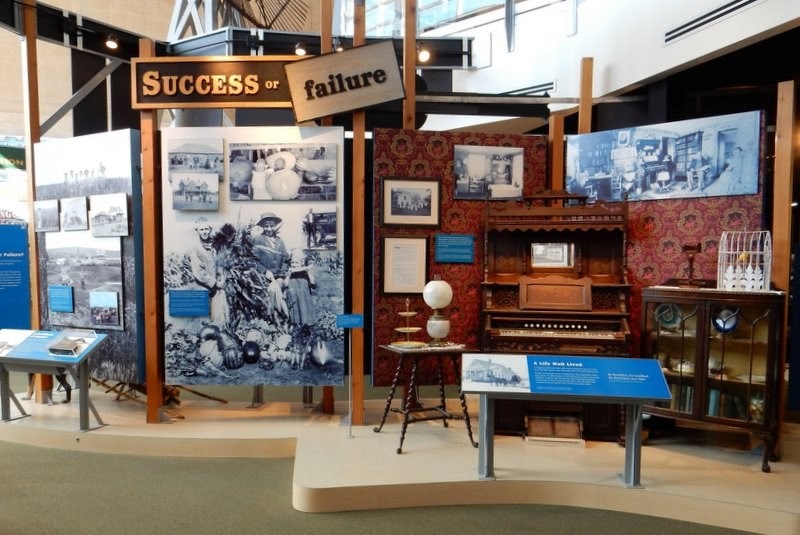 The forty percent who did gain ownership of their homesteads had the personal satisfaction of knowing that they had triumphed against the odds. The exhibits taught me so many things. 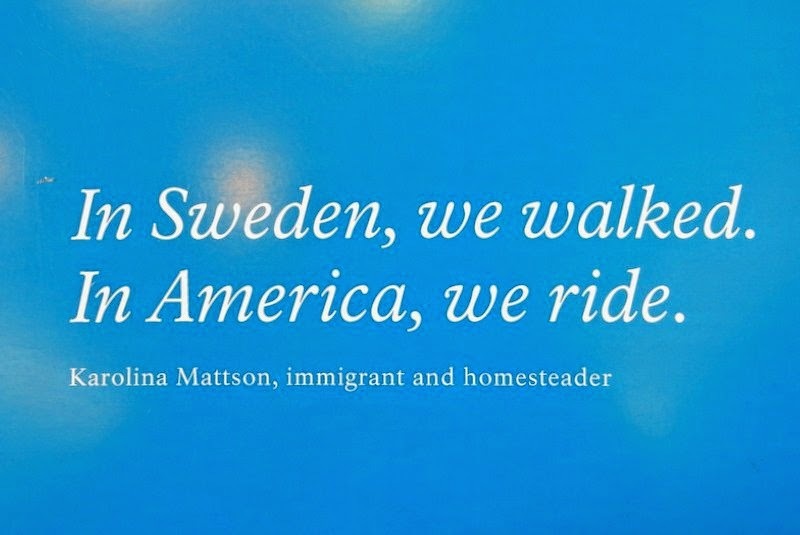 I never realized how many homesteaders were first generation immigrants, nor did I know that the country’s last homestead was so recent – a 1974 homestead in Alaska. I also found out that many of Tim’s ancestors were homesteaders. It turns out that a large percentage of Americans have been touched by the Homestead Act. Many homestead records have been digitized and are available at the park, but the ones for Iowa, where Tim’s family settled, are not yet on-line. It was a great visit. During our stay in Beatrice we visited the Filley Stone Barn, which was built in 1874 and is the largest limestone barn in Nebraska. We happened to time our visit perfectly, and we were rewarded with the warm glow of sunset illuminating the beautiful structure. Our next destination after Beatrice was Salina, Kansas, where we would meet up with Jane. For the first time since we’ve been on the road, Tim and I drove in different directions. Up until now, I had always played navigator in the Subaru, with Tim following behind in the RV and keeping in touch with two-way radios. It’s a system that has worked out surprisingly well. 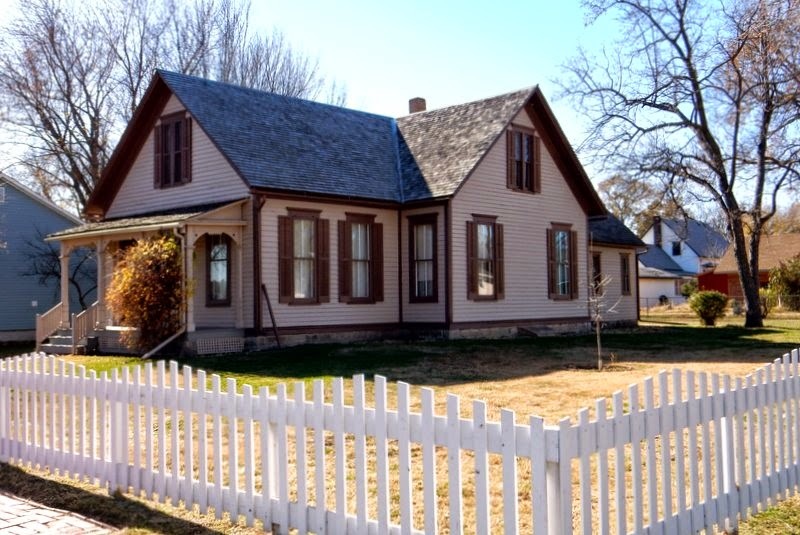 When we left Beatrice, however, I wanted to visit the Willa Cather State Historic Site, which was out of the way and would result in a very long driving day. So I headed west to spend time with Willa, and Tim headed directly to Salina. This worked out perfectly for both of us. 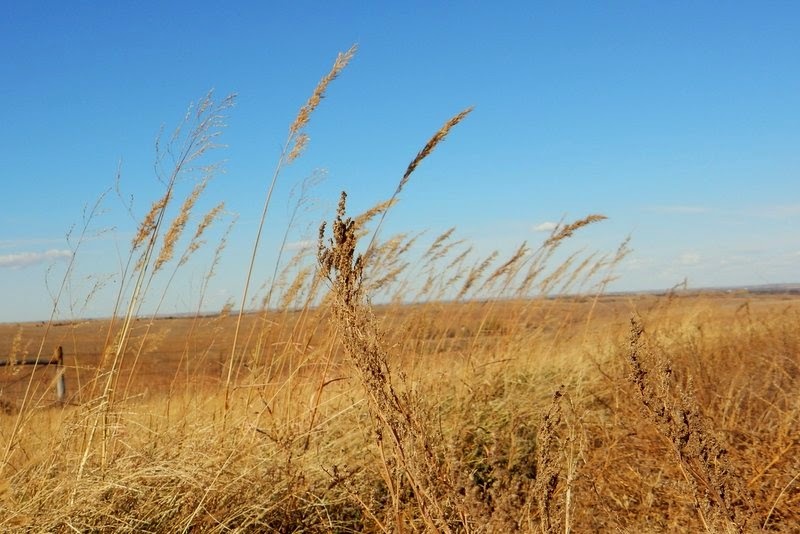 I always enjoy reading about the areas we are visiting and had known the Nebraska prairie was prominently featured in the works of Willa Cather, one of the greatest American novelists of the twentieth century. I had loaded my Kindle with O Pioneers!, the first novel of her Great Plains trilogy, and had finished it the night before, just in time to visit her childhood home in Red Cloud. I arrived in Red Cloud just after the Willa Cather tour had departed and realized I wouldn’t have time to wait around for the next one. 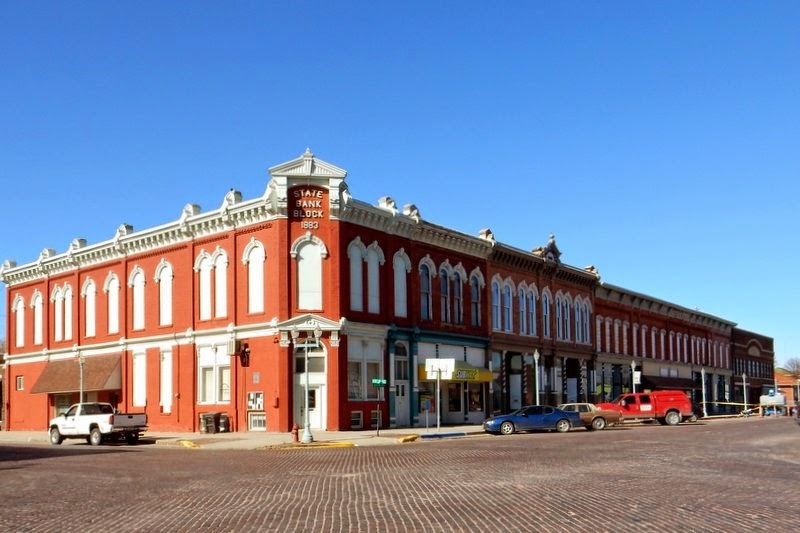 It was just as well, however, since the tour seemed geared to true Willa Cather devotees, with seven or eight stops related to her life and writing. Instead, I did parts of a self-guided tour and stopped by the two houses where she had lived, as well as a few other sites. I would have enjoyed visiting the interior of her house and learning more about her life, but that was not to be. It was time to leave for Salina, and I followed more back roads, including parts of the Post Rock Scenic Byway. Here, again, limestone is the featured material. 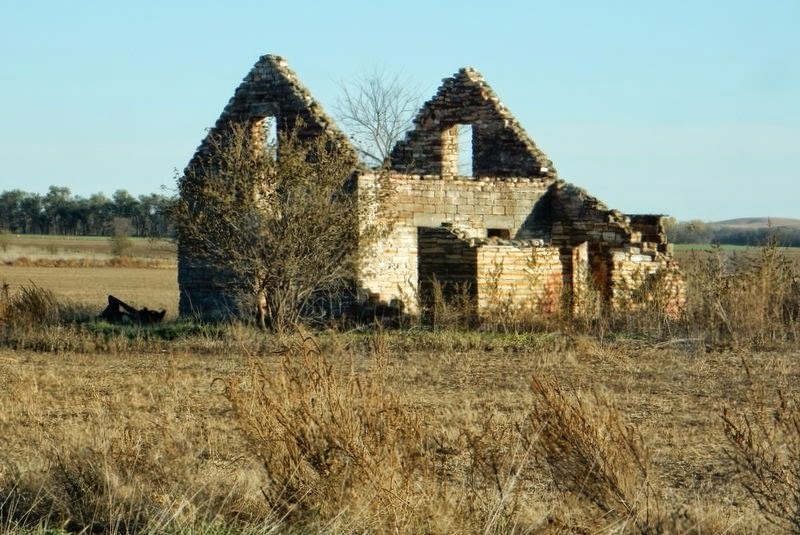 In this part of Kansas, however, limestone was not used for fences, but for fence posts to which barbed wire was attached. These posts are called post rocks. 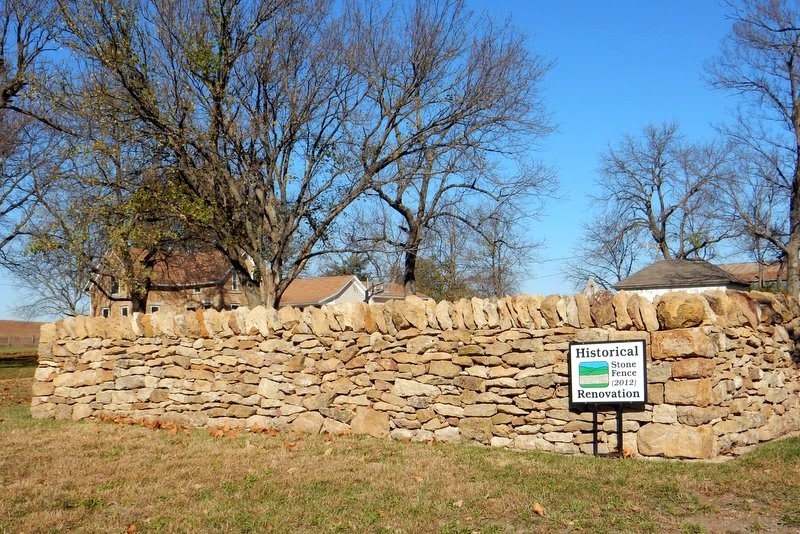 Limestone was used so extensively for fence posts during early Kansas settlement days that the posts have become an identifying feature of the landscape. I had never seen fence posts like these before. Although most people may not pay attention to little features like this, I enjoy seeing regional and vernacular adaptations of more widespread styles – both in buildings and in fences. 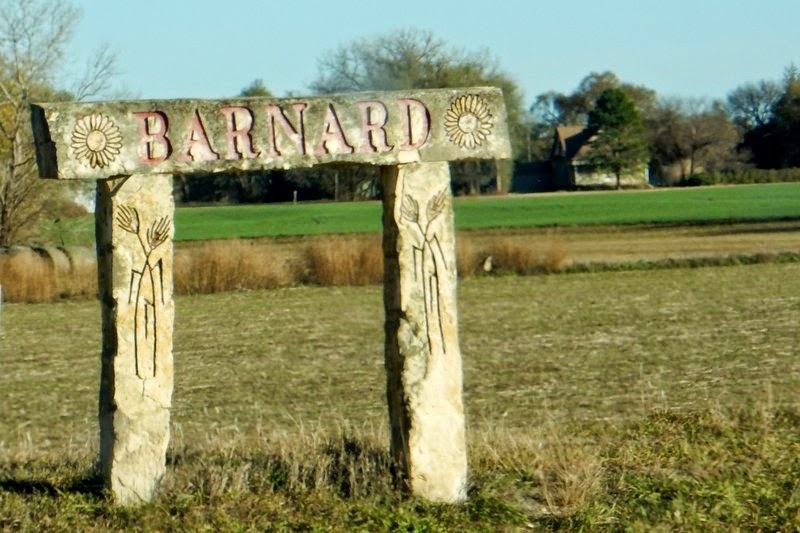 Post rocks are still being produced today, and several towns use them as identification or welcome signs. I finally arrived in Salina and reconnected with Tim at the Salina KOA. The campground was perfectly located for getting together with Jane. I love all the photos with your adventure! Thanks for sharing! I'm so glad you're enjoying them. Thanks for following along with us. I had forgotten about your limestone wall! I love stone walls, but especially ones of limestone. They really are beautiful, and each one is unique.